BARCELONA, Spain (AP) — Catalonia’s new separatist chief plans to deliver one message to Spanish Prime Minister Pedro Sanchez in their highly-anticipated meeting next month: an authorized ballot over Catalan secession from Spain is the only solution to the country’s worst political crisis in decades. Sanchez, who like Torra has come to power in recent weeks, invited Torra to a meeting in Madrid on July 9. It will be the first meeting between the heads of Spain’s central and Catalonia’s regional governments since Torra’s predecessor Carles Puigdemont defied Spanish authorities and held an illegal referendum before making an ineffective declaration of independence last October. The moves won no support internationally and led to a crackdown by Spain, which took over running regional affairs until earlier this month. Sanchez’s predecessor, former Prime Minister Mariano Rajoy, had repeatedly rejected requests to authorize a formal Catalan referendum on independence. 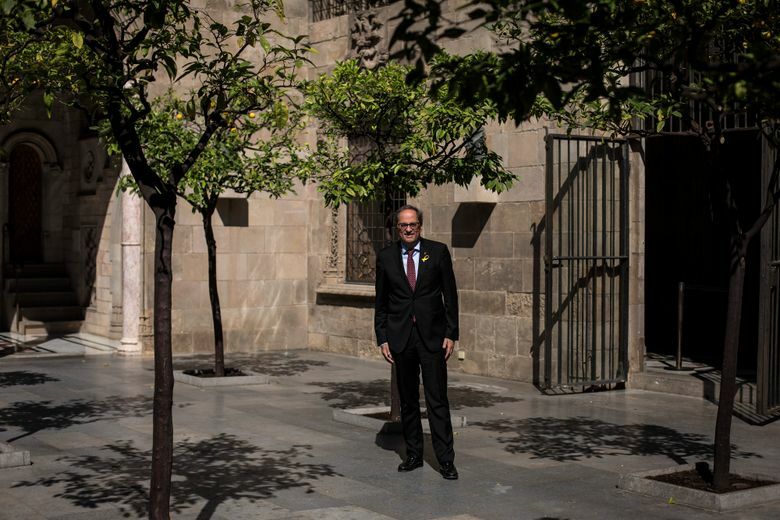 Torra, 55, is a fervent Catalan nationalist who has had to apologize for his anti-Spanish views expressed in articles and social media posts that his critics have called xenophobic. He was hand-picked by Puigdemont in May to carry on leading the independence cause while Puigdemont fights extradition back to Spain from Germany. Sanchez, the head of Spain’s Socialists, took power at the beginning of this month by ousting Rajoy in a no-confidence vote after a major court ruling into a corruption case involving Rajoy’s conservative party. Sanchez’s government has distanced itself from Rajoy’s hard-line approach by proposing to amend the Spanish Constitution to create what it calls a “federal model” for Spain that aims to increase the already significant degree of self-governance enjoyed by the regions. Catalonia, for example, has a large amount of control over education— which is mainly in the Catalan language— and runs its own police, hospitals and prisons. Its separatist parties are also represented in Spain’s Parliament. 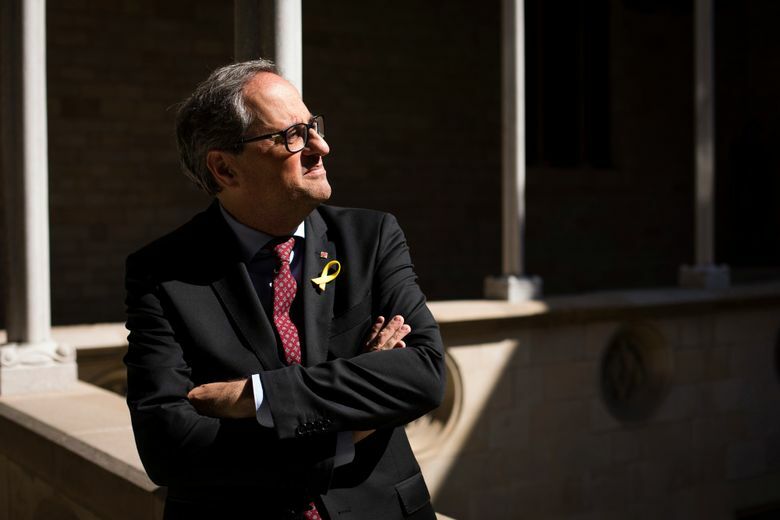 Torra, however, said that the only reworking of the Constitution that would satisfy Catalonia’s secessionists would be one that includes the right to vote on founding a new European state for the northeastern corner of the Iberian Peninsula. 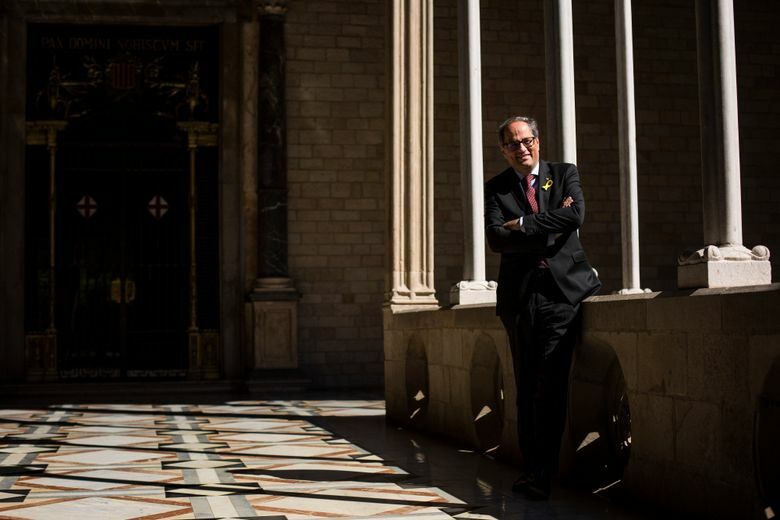 Before his meeting with Sanchez, Torra will visit Washington, D.C. this week to attend an event at the Smithsonian” Folklife Festival”, which this year will feature Catalan traditional culture. 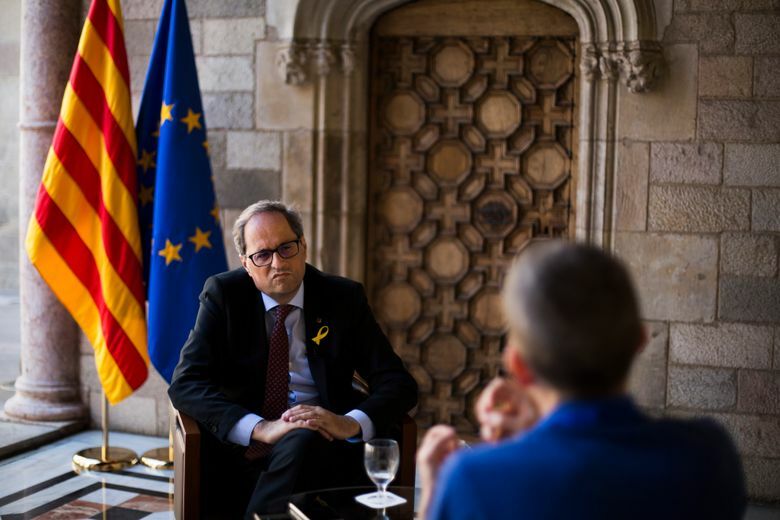 Torra said he will use the trip to the United States to try to drum up support for the separatist cause and the release of nine high-profile Catalan separatist who are in jail while they await trial for their role in last year’s failed breakaway attempt. “We are going to make use of every chance we have (in Washington) to send this message,” Torra said. The separatists were jailed while Puigdemont and other collaborators fled the country to avoid summons by a Spanish judge. Those leaders who remained in Spain were imprisoned due to the flight risk they posed and the threat of them continuing to push for secession. In another move that many hope marks a thawing of relations between Madrid and Barcelona, Torra met with Pablo Iglesias, the leader of Spain’s far-left Podemos party, on Monday. Torra said he would also meet with Alberto Garzon, the leader of Spain’s United Left, next week, ahead of his sit-down with Sanchez.